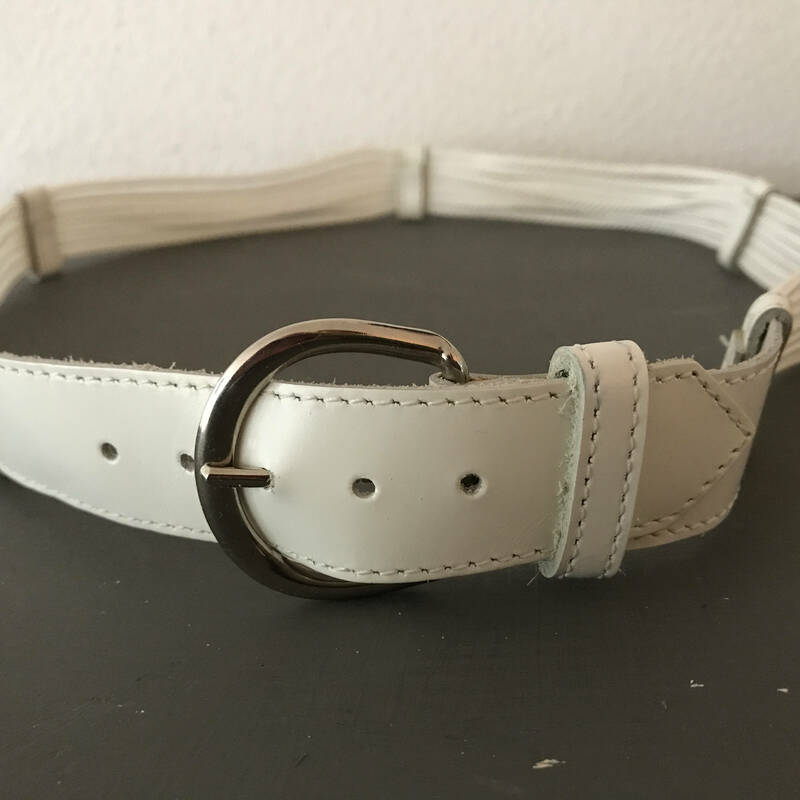 This is a vintage white leather belt made by the French label Vacher. 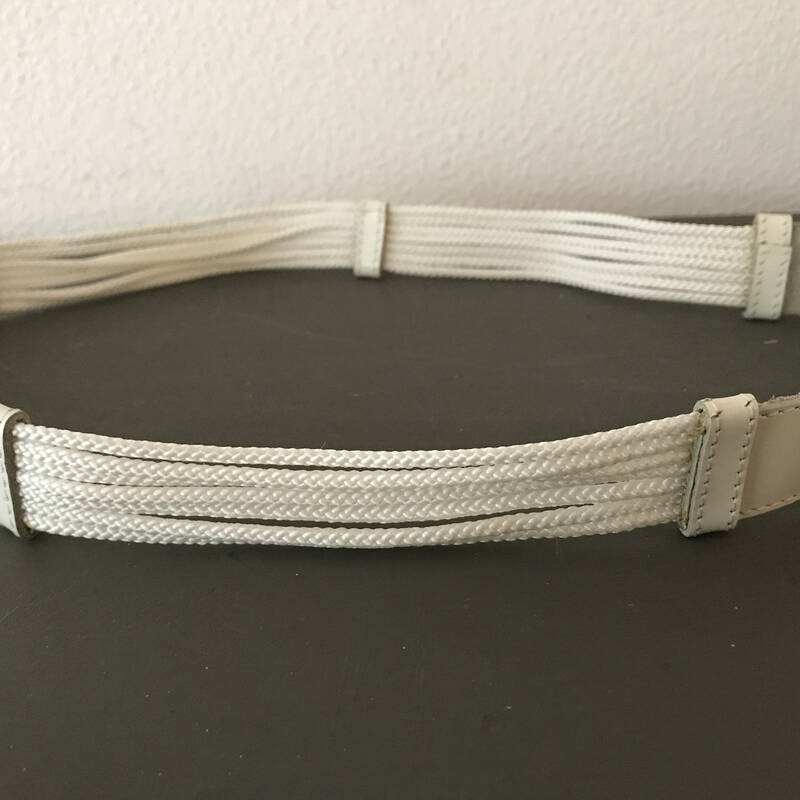 The most part of this belt consists of 7 plastic small ropes hold together by white leather straps. gold colored details. 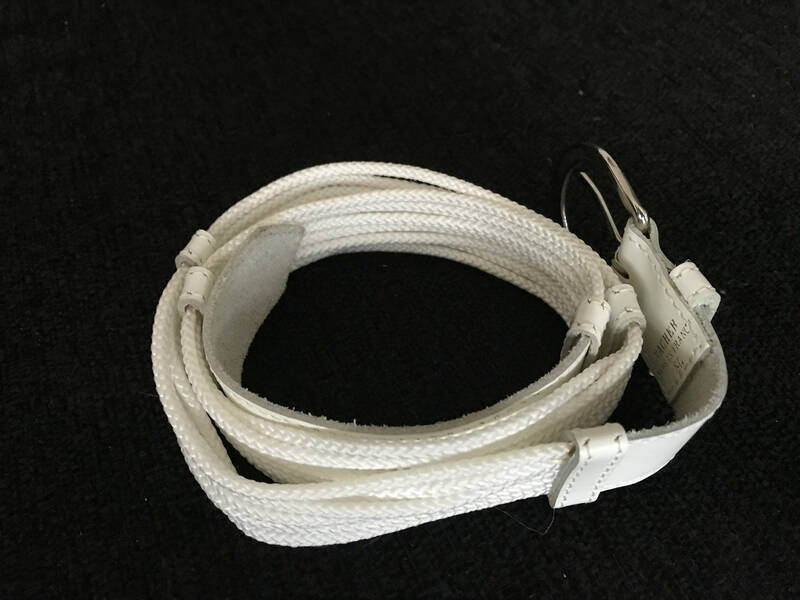 Both endings are made of white leather. 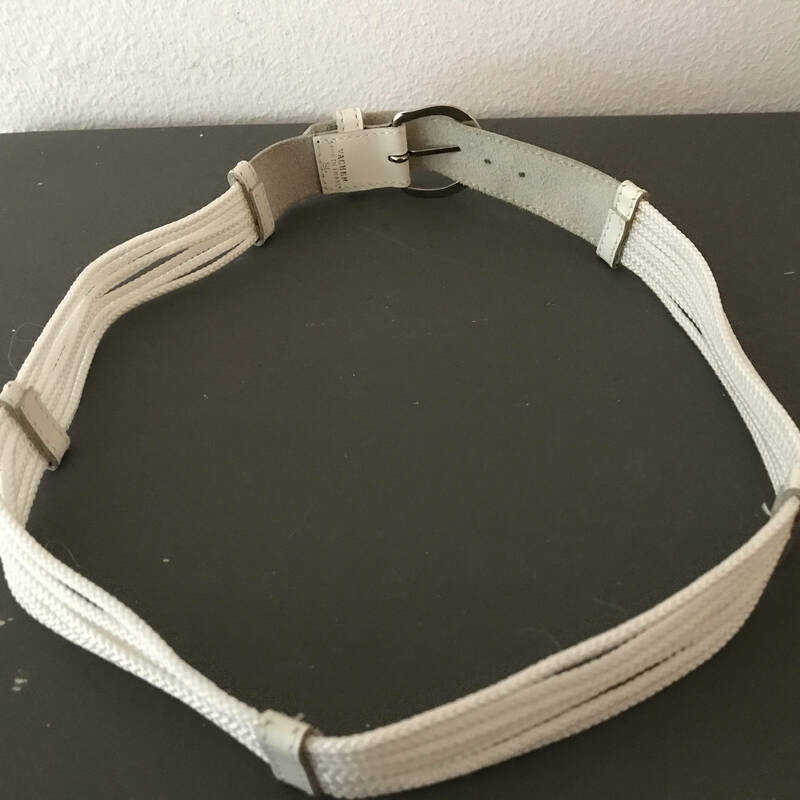 The size of the belt is 80 cm with a total length of 86 cm. Width is 3 cm. 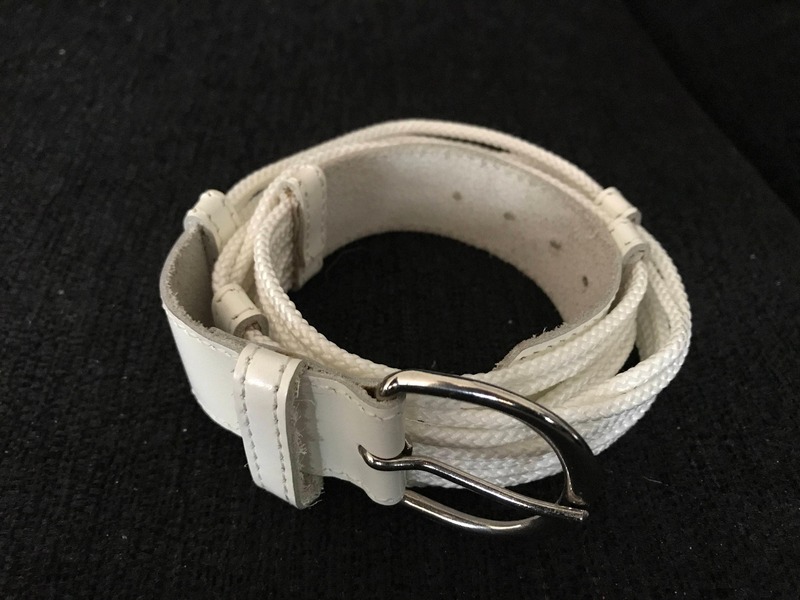 It look likes the belt has never been used and is in a very good condition! 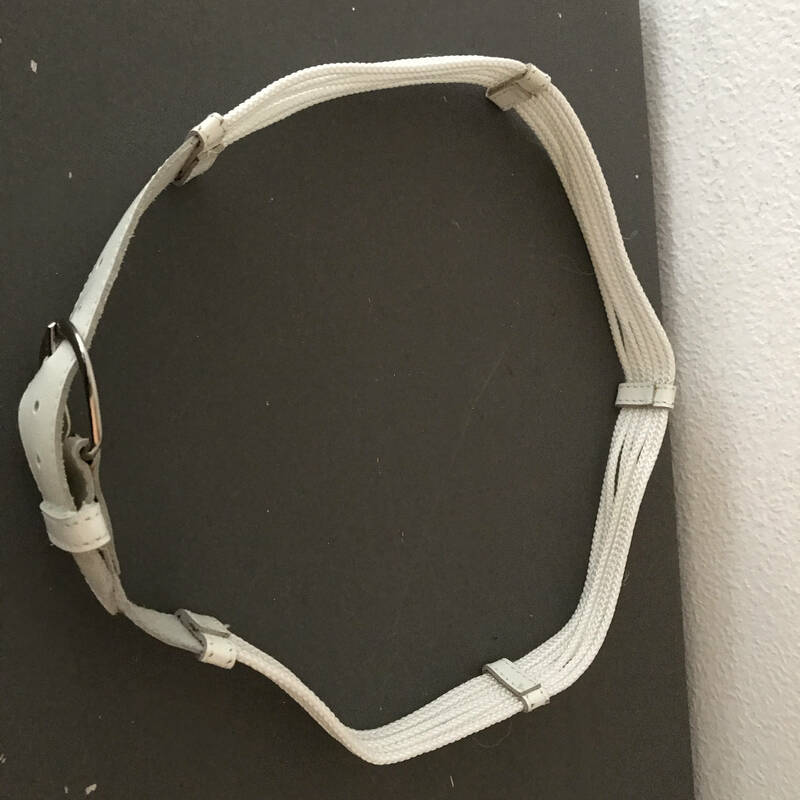 All purchased will be included with a small gift.